Uber is debuting yet another new product with China the first to benefit from a car service tailored to consumers. The idea of UberCommute is to pair up drivers with those doing the same long distance route into work and allow them to share the cost of the journey in a similar way to how UberPool works inside certain cities. Chengdu in China, Uber's number one city on the planet, is the first place to get to grips with the new service and the San Francisco-based firm has big plans to expand to other cities across the globe in the future. 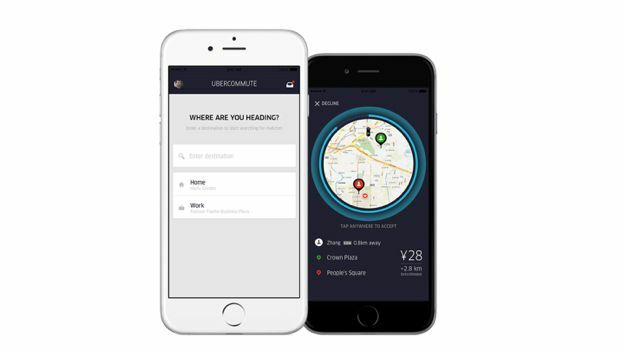 UberCommute works in the same way as the regular Uber product in that users sign in to the app and let it know where they want to go before UberCommute then pairs drivers with passengers on the same route. There is even still the option for the driver to accept or reject the request. In launching UberCommute in China, the company has broken with tradition and made the Asian country the first one outside the US to host a major product launch. The growth it is seeing in China has also seen it double the amount of cities to 100 that will be able to use the service in the next 12 months. Further roll outs are likely to be dictated by the early adoption of the service in Chengdu and expect to see it stretch out across various Chinese cities before it arrives in Europe or the US.